This limited edition of 500 pieces is directly inspired by the new AeroGT concept car designed by the creative director at Bell & Ross. 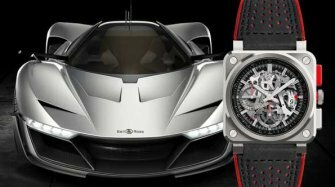 “The BR 03 AeroGT watches and the AeroGT concept car are ultra-technical and high-performance,” assures Bruno Belamich, creative director. 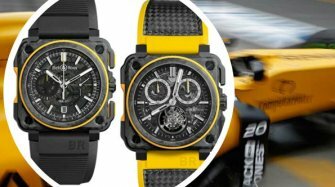 This chronograph embodies the very essence of the automotive watch. The orange hues recall the body of the AeroGT car and its 42 mm diameter gives it a sportier and more streamlined look. 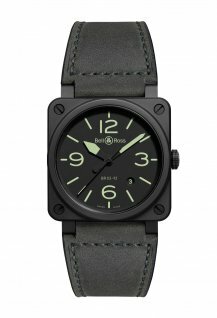 The open-worked dial is formed from layers to give the watch an intriguing impression of depth. 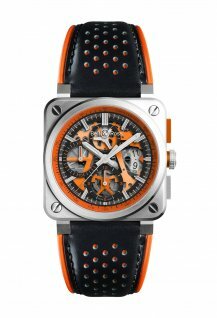 Meanwhile, the skeletonized mechanism has been designed to allow a glimpse through the movement while making it lighter. This reduction work can also be seen in racing cars. 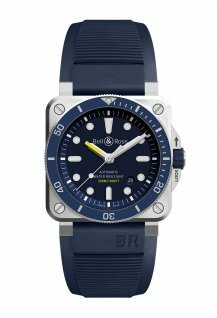 For this watche, the aim was to highlight the sophistication and beauty of the watch motor. The AeroGT concept car also allows its mechanics to be admired, which are housed under a smoked glass window. 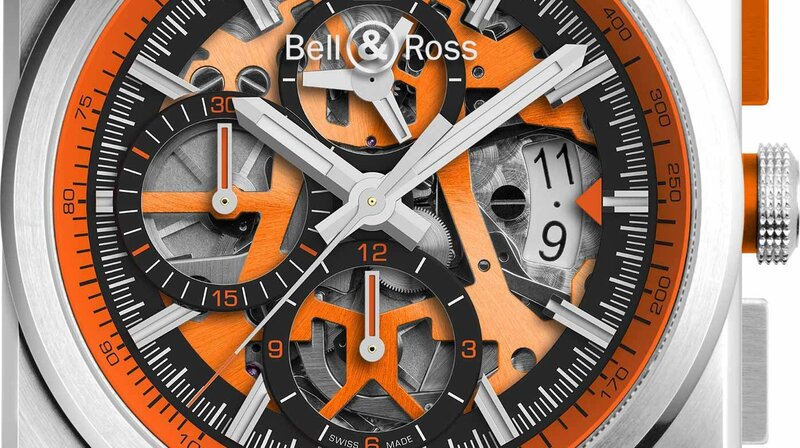 The BR 03-94 AeroGT Orange is equipped with a quilted leather strap reminiscent of luxury car interios. The micro-perforations and orange topstitching recall the seats of the best sports cars.